From 15 feb 2019-18 feb 2019 in this round played 10 matches, 1 of them was ended in a draw. 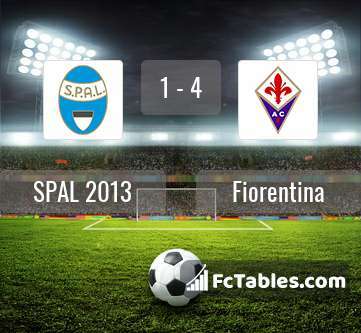 Most goals was in matches: SPAL 2013 - Fiorentina (5 goals). In round was a total of 28 goals. In previous round team scored 18 goals. At all stadiums watched games 236847 spectators. In previous round: 220913. Here you can check actual Serie A table. For Juventus only in Serie A the most goals scored: Cristiano Ronaldo 19 goals, Mario Mandzukic 8 goals. Team the most matches played with formation: 4-3-3. Juventus at home won 11 matches, 2 draws and 0 defeits. Juventus scored average of 2.17 goals per game. In matches played at home 2.15 goals per game. In matches played at home an average of 2.77 goals (with opponent goals). For Frosinone only in Serie A the most goals scored: Camillo Ciano 6 goals, Daniel Ciofani 3 goals. Team the most matches played with formation: 3-5-2. Frosinone away won 3 matches, 2 draws and 8 defeits. 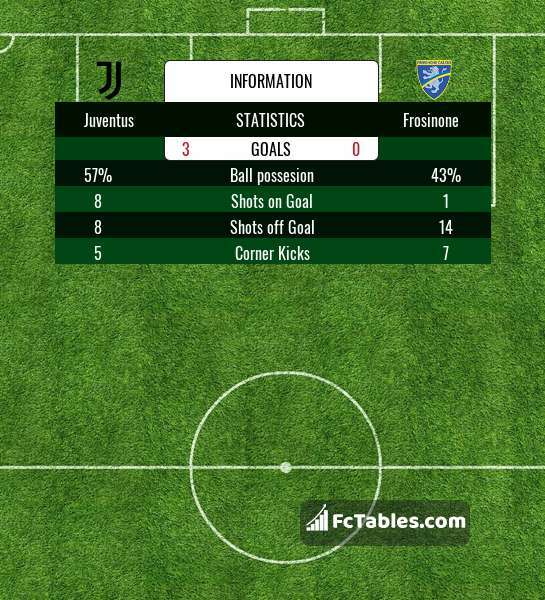 Frosinone scored average of 0.71 goals per game. In matches played away 0.85 goals per game. In matches played away an average of 2.69 goals (with opponent goals). 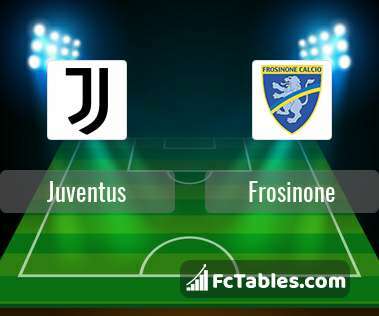 Before the game team Juventus in table was 1, Frosinone was: 19. The match ended with the result 3:0. For Atalanta only in Serie A the most goals scored: Duvan Zapata 16 goals, Josip Ilicic 7 goals. Team the most matches played with formation: 3-4-1-2. Atalanta at home won 5 matches, 3 draws and 4 defeits. Atalanta scored average of 2.13 goals per game. In matches played at home 1.75 goals per game. In matches played at home an average of 2.92 goals (with opponent goals). For AC Milan only in Serie A the most goals scored: Gonzalo Higuain 6 goals, Suso 5 goals. Team the most matches played with formation: 4-3-3. AC Milan away won 4 matches, 6 draws and 2 defeits. AC Milan scored average of 1.46 goals per game. In matches played away 1.33 goals per game. In matches played away an average of 2.17 goals (with opponent goals). 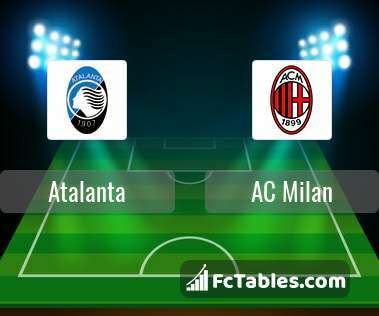 Before the game team Atalanta in table was 6, AC Milan was: 4. The match ended with the result 1:3. For Cagliari only in Serie A the most goals scored: Leonardo Pavoletti 9 goals, Joao Pedro Galvao 4 goals. Team the most matches played with formation: 4-3-1-2. Cagliari at home won 4 matches, 6 draws and 2 defeits. Cagliari scored average of 0.88 goals per game. In matches played at home 1.17 goals per game. In matches played at home an average of 2.08 goals (with opponent goals). For SSD Parma only in Serie A the most goals scored: Roberto Inglese 8 goals, Gervinho 8 goals. Team the most matches played with formation: 4-3-3. 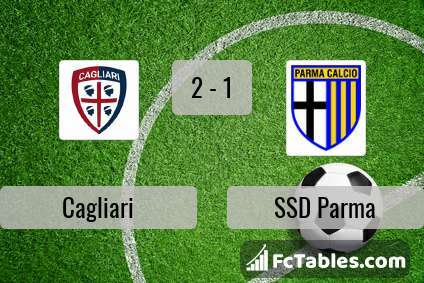 SSD Parma away won 5 matches, 1 draws and 6 defeits. SSD Parma scored average of 1.04 goals per game. In matches played away 1.17 goals per game. In matches played away an average of 2.75 goals (with opponent goals). 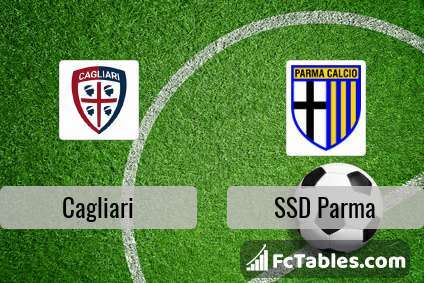 Before the game team Cagliari in table was 14, SSD Parma was: 12. The match ended with the result 2:1. For Empoli only in Serie A the most goals scored: Francesco Caputo 11 goals, Rade Krunic 4 goals. Team the most matches played with formation: 3-5-2. 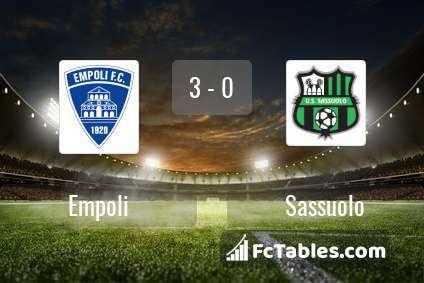 Empoli at home won 5 matches, 2 draws and 6 defeits. Empoli scored average of 1.25 goals per game. In matches played at home 1.46 goals per game. In matches played at home an average of 3.00 goals (with opponent goals). For Sassuolo only in Serie A the most goals scored: Khouma Babacar 6 goals, Kevin-Prince Boateng 4 goals. Team the most matches played with formation: 4-3-3. Sassuolo away won 3 matches, 4 draws and 5 defeits. Sassuolo scored average of 1.42 goals per game. In matches played away 1.00 goals per game. In matches played away an average of 2.25 goals (with opponent goals). Before the game team Empoli in table was 17, Sassuolo was: 11. The match ended with the result 3:0. For Genoa only in Serie A the most goals scored: Krzystof Piatek 13 goals, Cristian Kouame 4 goals. Team the most matches played with formation: 3-4-1-2. 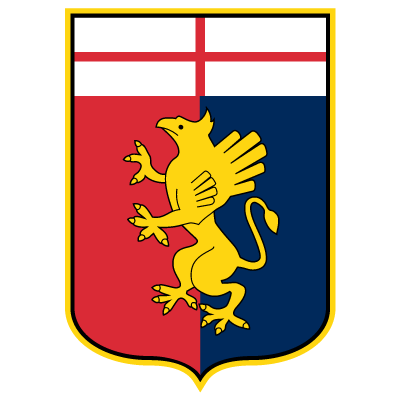 Genoa at home won 5 matches, 5 draws and 3 defeits. 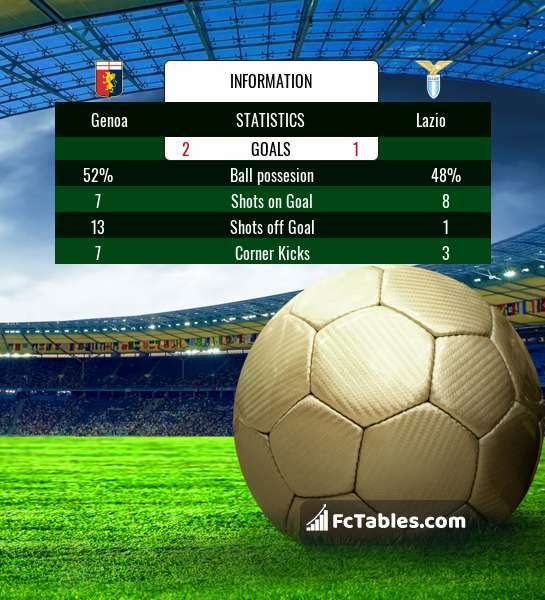 Genoa scored average of 1.33 goals per game. In matches played at home 1.31 goals per game. In matches played at home an average of 2.46 goals (with opponent goals). For Lazio only in Serie A the most goals scored: Ciro Immobile 11 goals, Joaquin Correa 3 goals. Team the most matches played with formation: 3-5-2. Lazio away won 5 matches, 2 draws and 5 defeits. Lazio scored average of 1.38 goals per game. In matches played away 1.08 goals per game. In matches played away an average of 2.17 goals (with opponent goals). 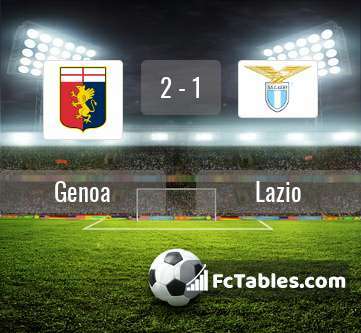 Before the game team Genoa in table was 13, Lazio was: 7. The match ended with the result 2:1. For Inter only in Serie A the most goals scored: Mauro Icardi 9 goals, Balde Diao Keita 4 goals. Team the most matches played with formation: 4-2-3-1. 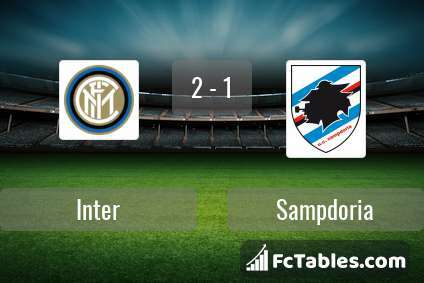 Inter at home won 8 matches, 2 draws and 2 defeits. 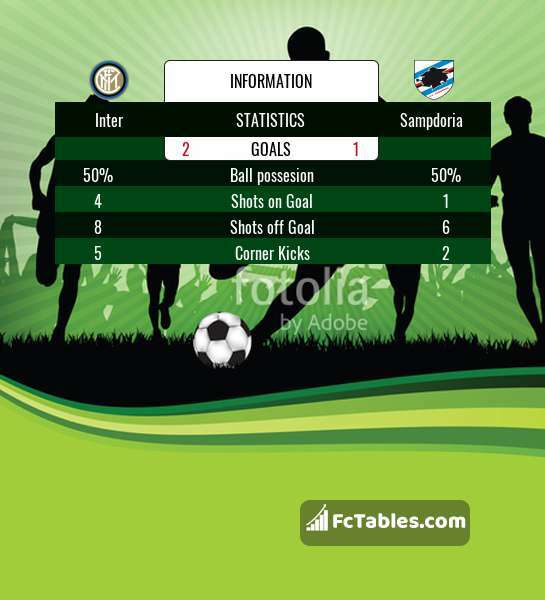 Inter scored average of 1.42 goals per game. In matches played at home 1.58 goals per game. In matches played at home an average of 2.08 goals (with opponent goals). For Sampdoria only in Serie A the most goals scored: Fabio Quagliarella 16 goals, Gregoire Defrel 6 goals. Team the most matches played with formation: 4-3-1-2. Sampdoria away won 3 matches, 4 draws and 6 defeits. Sampdoria scored average of 1.67 goals per game. In matches played away 1.62 goals per game. In matches played away an average of 3.38 goals (with opponent goals). 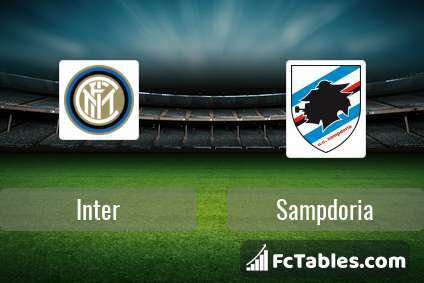 Before the game team Inter in table was 3, Sampdoria was: 10. The match ended with the result 2:1. For SSC Napoli only in Serie A the most goals scored: Arkadiusz Milik 12 goals, Dries Mertens 8 goals. Team the most matches played with formation: 4-4-2. SSC Napoli at home won 10 matches, 3 draws and 0 defeits. SSC Napoli scored average of 1.75 goals per game. In matches played at home 2.15 goals per game. In matches played at home an average of 2.69 goals (with opponent goals). For Torino only in Serie A the most goals scored: Andrea Belotti 7 goals, Iago Falque 3 goals. Team the most matches played with formation: 3-5-2. Torino away won 2 matches, 10 draws and 1 defeits. Torino scored average of 1.17 goals per game. In matches played away 1.08 goals per game. In matches played away an average of 1.92 goals (with opponent goals). Before the game team SSC Napoli in table was 2, Torino was: 9. The match ended with the result 0:0. For SPAL 2013 only in Serie A the most goals scored: Andrea Petagna 9 goals, Jasmin Kurtic 4 goals. Team the most matches played with formation: 3-5-2. SPAL 2013 at home won 2 matches, 6 draws and 4 defeits. SPAL 2013 scored average of 0.88 goals per game. In matches played at home 0.83 goals per game. In matches played at home an average of 2.17 goals (with opponent goals). For Fiorentina only in Serie A the most goals scored: Marco Benassi 7 goals, Giovanni Simeone 5 goals. Team the most matches played with formation: 4-3-3. Fiorentina away won 3 matches, 7 draws and 3 defeits. Fiorentina scored average of 1.54 goals per game. In matches played away 1.31 goals per game. In matches played away an average of 2.46 goals (with opponent goals). Before the game team SPAL 2013 in table was 16, Fiorentina was: 8. The match ended with the result 1:4. For Udinese only in Serie A the most goals scored: Rodrigo De Paul 6 goals, Ignacio Pussetto 3 goals. Team the most matches played with formation: 3-5-2. Udinese at home won 4 matches, 3 draws and 6 defeits. Udinese scored average of 0.79 goals per game. In matches played at home 0.85 goals per game. In matches played at home an average of 2.08 goals (with opponent goals). For Chievo only in Serie A the most goals scored: Mariusz Stepinski 6 goals, Sergio Pellissier 4 goals. Team the most matches played with formation: 4-3-1-2. 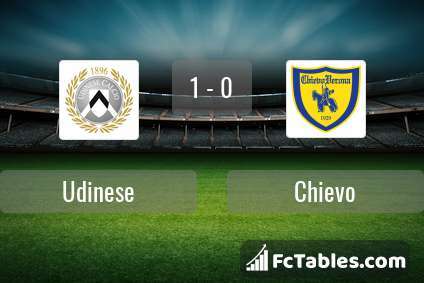 Chievo away won 0 matches, 5 draws and 7 defeits. Chievo scored average of 0.79 goals per game. In matches played away 0.67 goals per game. In matches played away an average of 2.67 goals (with opponent goals). 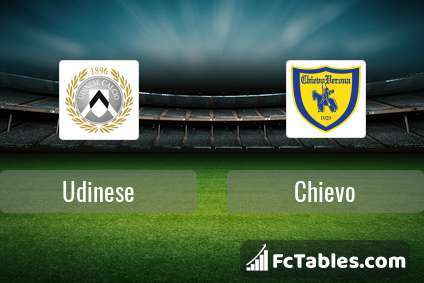 Before the game team Udinese in table was 15, Chievo was: 20. The match ended with the result 1:0. For Roma only in Serie A the most goals scored: Stephan El Shaarawy 8 goals, Aleksandar Kolarov 7 goals. Team the most matches played with formation: 4-2-3-1. Roma at home won 7 matches, 4 draws and 1 defeits. Roma scored average of 1.92 goals per game. In matches played at home 2.50 goals per game. In matches played at home an average of 4.00 goals (with opponent goals). For Bologna only in Serie A the most goals scored: Federico Santander 6 goals, Riccardo Orsolini 2 goals. Team the most matches played with formation: 3-5-2. 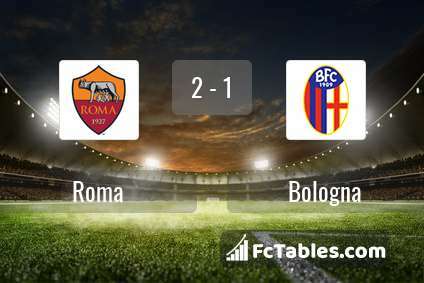 Bologna away won 1 matches, 5 draws and 7 defeits. Bologna scored average of 0.79 goals per game. In matches played away 0.85 goals per game. In matches played away an average of 2.46 goals (with opponent goals). 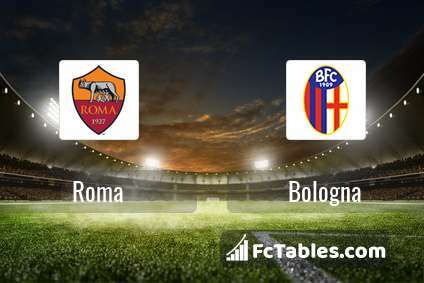 Before the game team Roma in table was 5, Bologna was: 18. The match ended with the result 2:1.